Three families in Ireland, three very different stories but one common thread – each couple has used a surrogate mother to give birth to their children. Surrogacy is neither legal nor illegal in Ireland because it is not yet addressed in legislation. 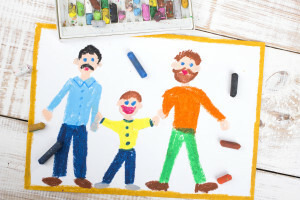 But that has not deterred an increasing number of couples who see it as the only way to create their longed-for family. While lawmakers here have deliberated for at least 10 years over the ramifications of surrogacy, these couples can’t wait and mostly go abroad to a country that has legislated for it. There are undoubtedly legal and moral issues to be debated around surrogacy. But here, in the run-up to a Dublin conference hosted by the international not-for-profit Families Through Surrogacy, three couples tell how they moved beyond the abstract to make surrogacy part of their life story. Partners for nine years, Neil McDonagh and Andrew Millar used to imagine what it would be like to raise a child – “like as if it was never going to happen”, says McDonagh. But five years ago they began to think seriously about the “what if”. 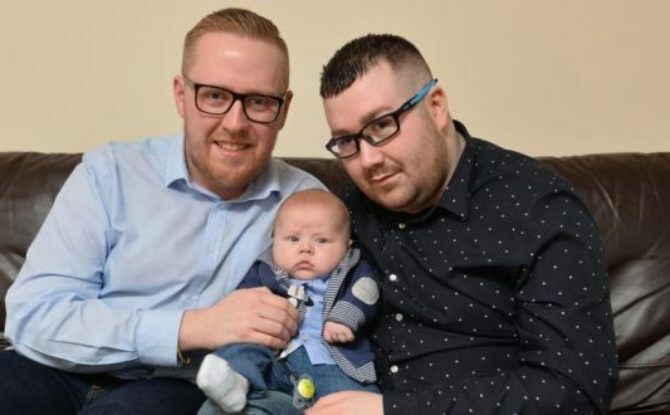 At the time, as a gay couple, adoption was not an option for them in the North so they looked into the possibility of being assessed in England for approval to adopt. Not only was the process daunting but they were also keen to adopt a baby, and it was mostly older children who were being placed. They started to consider surrogacy. They had just settled on doing it in Thailand when that country closed its programme to foreigners. That is the thing with international surrogacy, says McDonagh, “it is so fluid – one minute it’s okay and the next minute it’s not”. They considered Cambodia and Nepal but no sooner had they decided on the latter than the Himalayan country abruptly shut its surrogacy programme in September 2015. “That really did set us back – it is an emotional roller coaster,” says McDonagh, originally from Dublin. They began to ask themselves should they accept that surrogacy wasn’t for them. However, their thoughts turned back to the UK where altruistic surrogacy is permitted. When researching the possibility, they became part of an online network of parents and surrogates. They got to know a woman who had carried a baby for another couple and asked her if she was intending to do it again, would she consider them as parents? Three months later she said she was open to the idea and suggested the three of them meet.